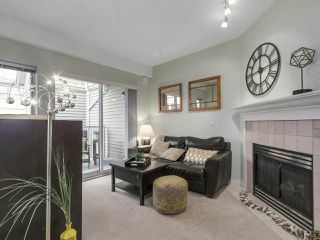 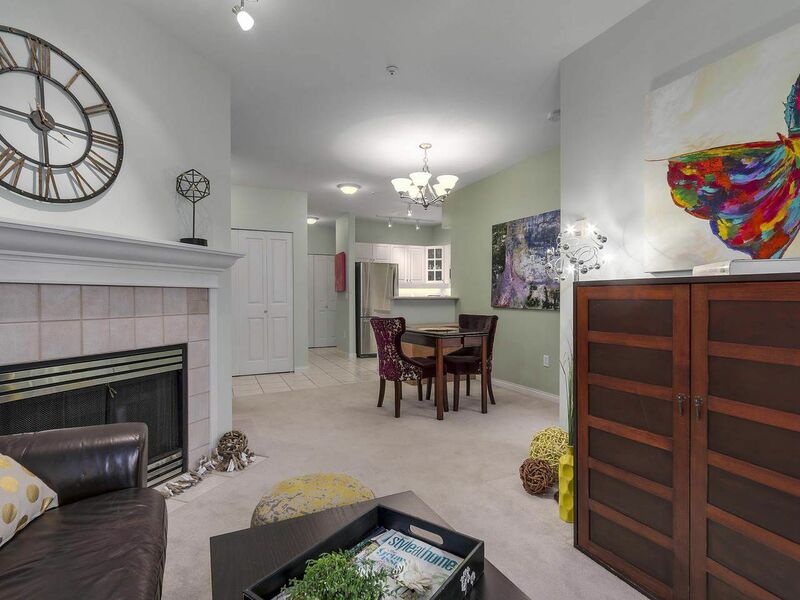 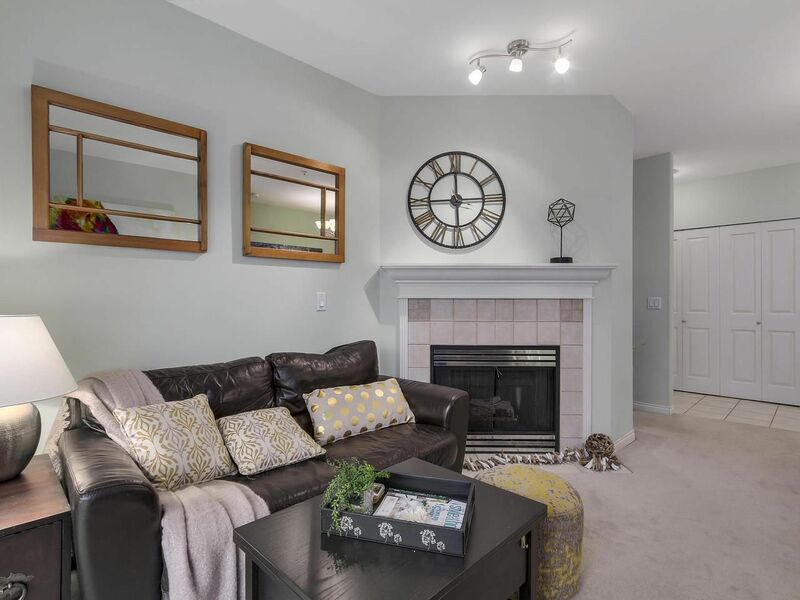 The bright well laid out living room offers a cozy gas fireplace that is included in your monthly fee. 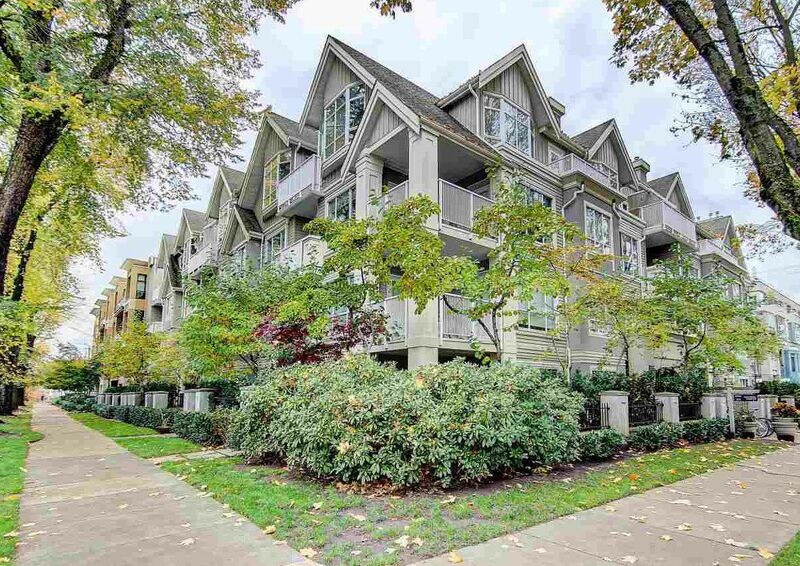 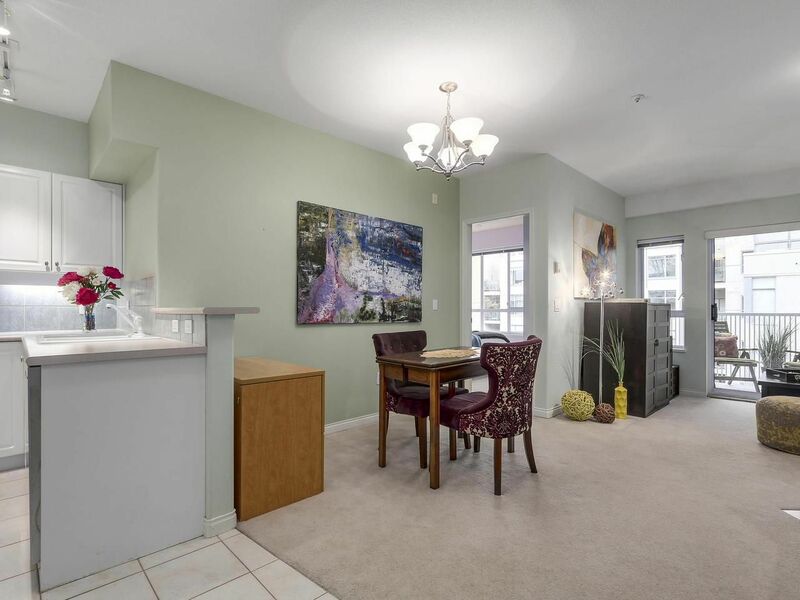 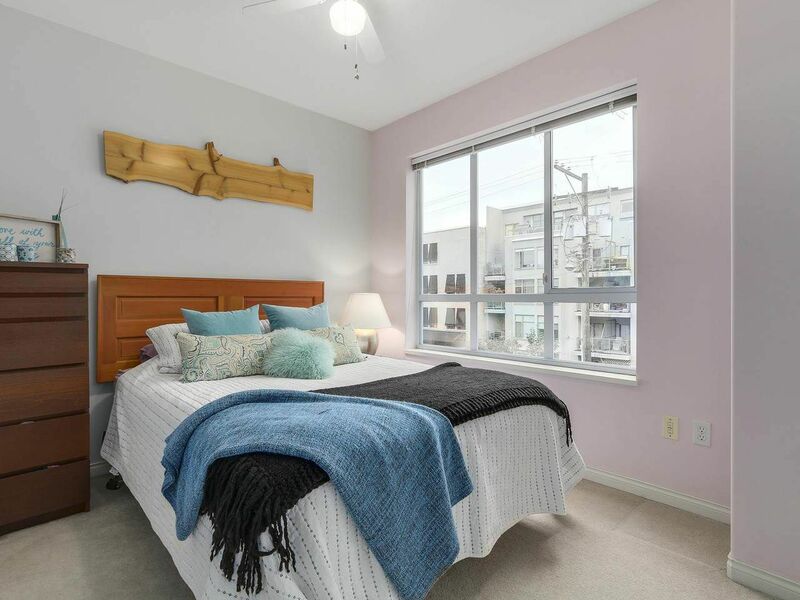 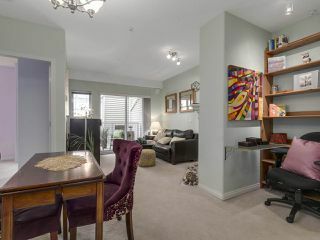 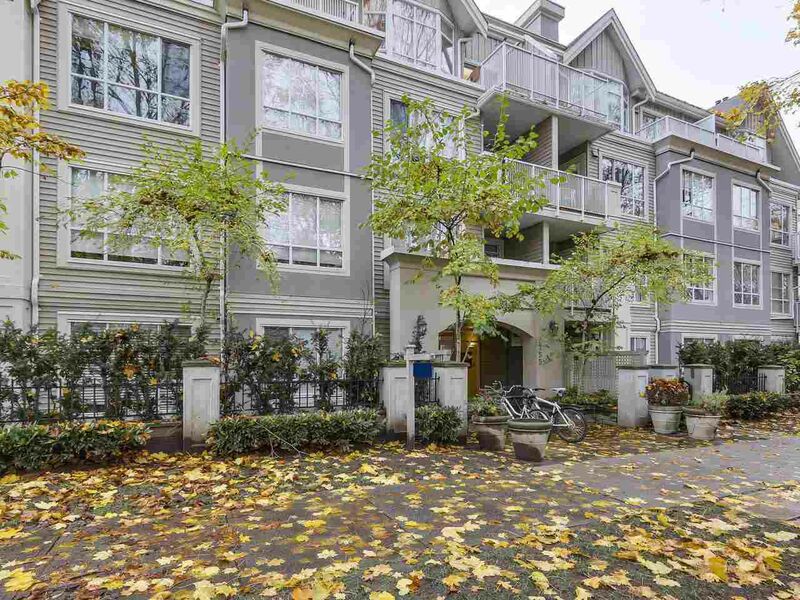 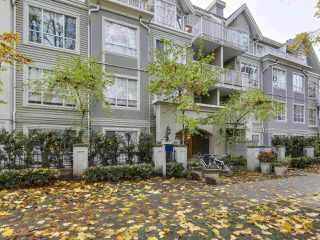 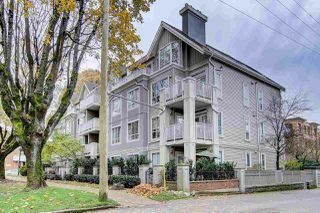 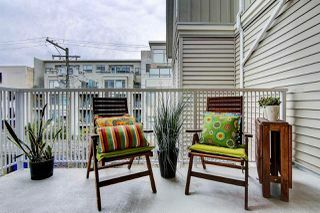 The building is well maintained and offers full rainscreen, newer balconies and railing. 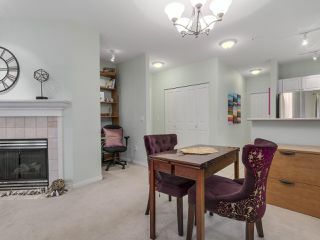 The alcove just off the dining room is great for a small office space, while bright and open to the rest of the home, it marks the designated office desk space, or can be used as part of dining room set for a hutch or a large bookshelf area. This owner has a perfectly made set up for an office space in this alcove, but it is a versatile space and can be used differently if more space is needed for dining room furniture. 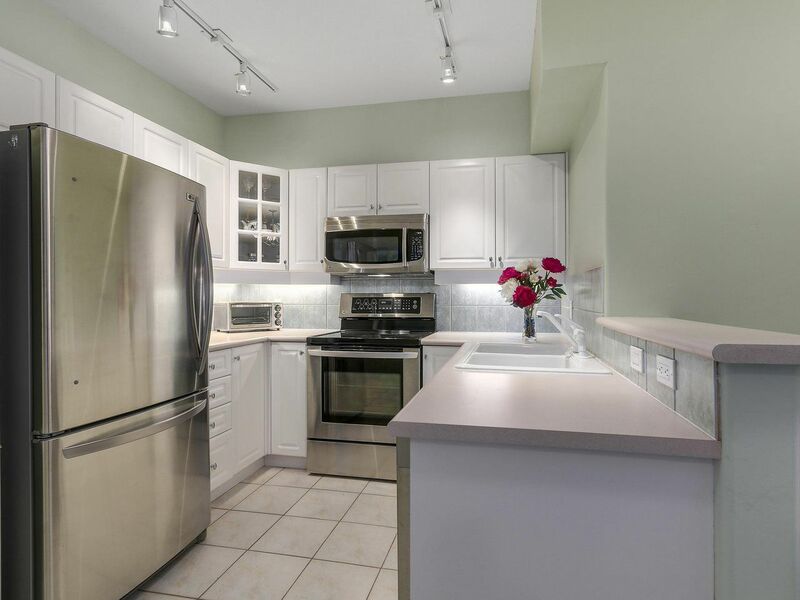 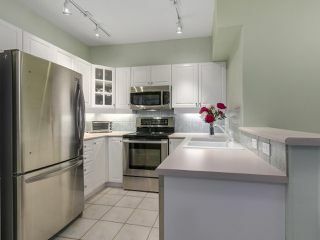 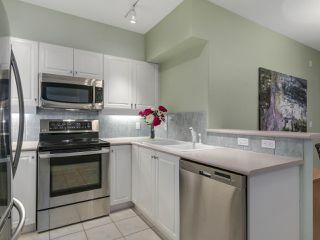 Kitchen comes with Country white cabinets, corner display cabinet, and newer stain less steel appliances. 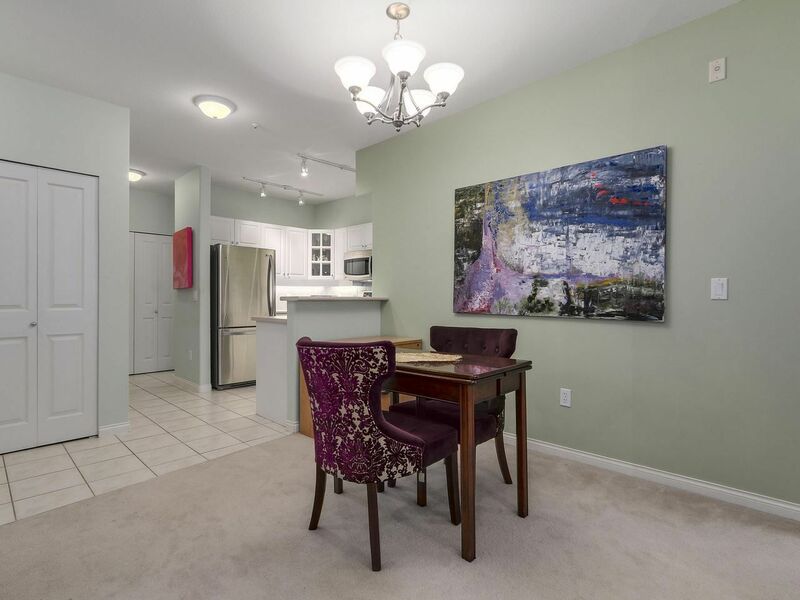 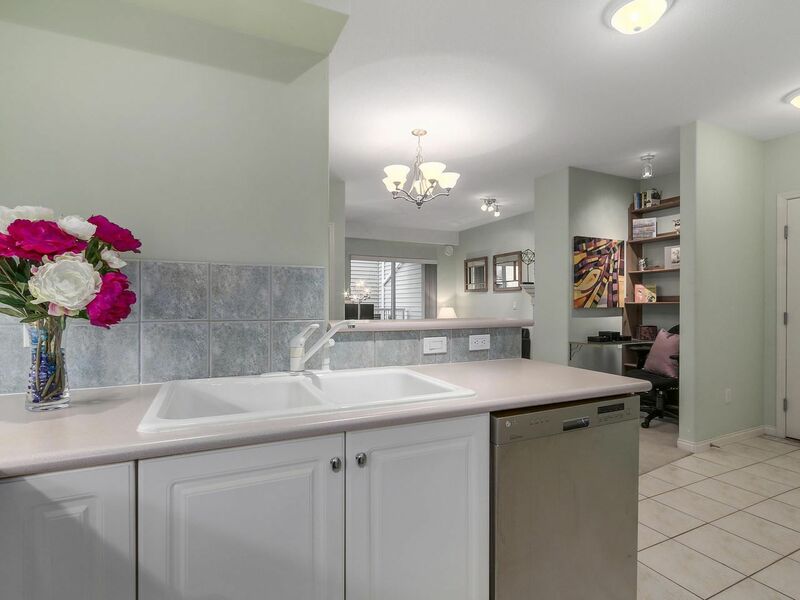 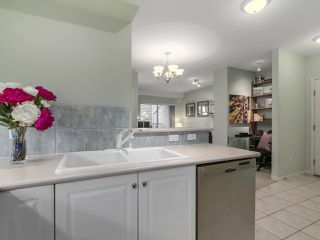 Lots of counter space, and is open to the dining room and living room area. Master Bedroom is a good size, with two full walls so the bed can be positioned either way. 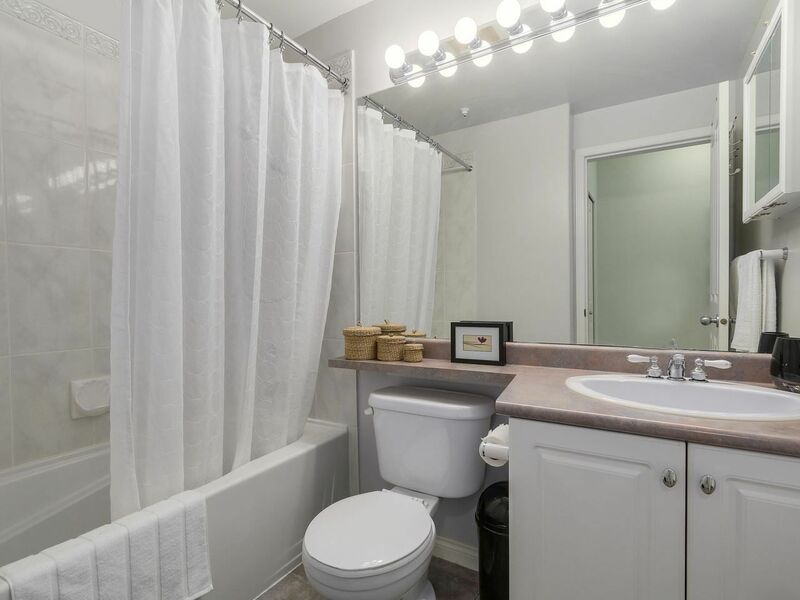 Bathroom is set to the back of the home and unlike many other homes doesn't directly open to the living room or dining room area. Excellent floorplan with no wasted space. 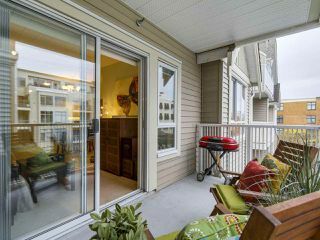 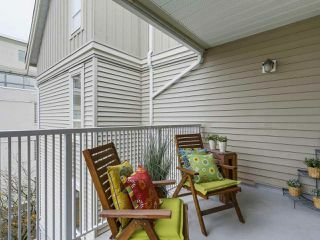 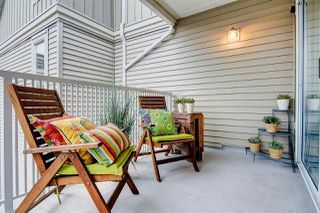 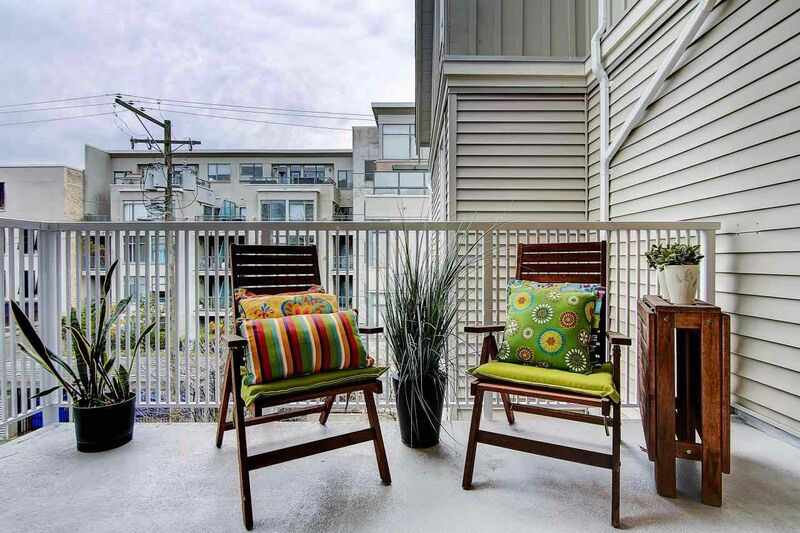 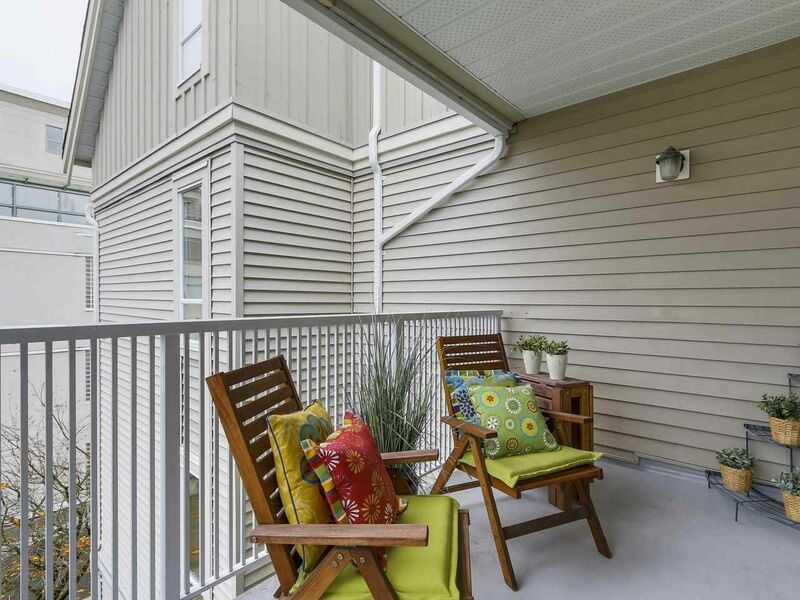 Good size balcony can have a full set of outdoor furniture, plants and BBQ, and is facing the quiet side of the building. 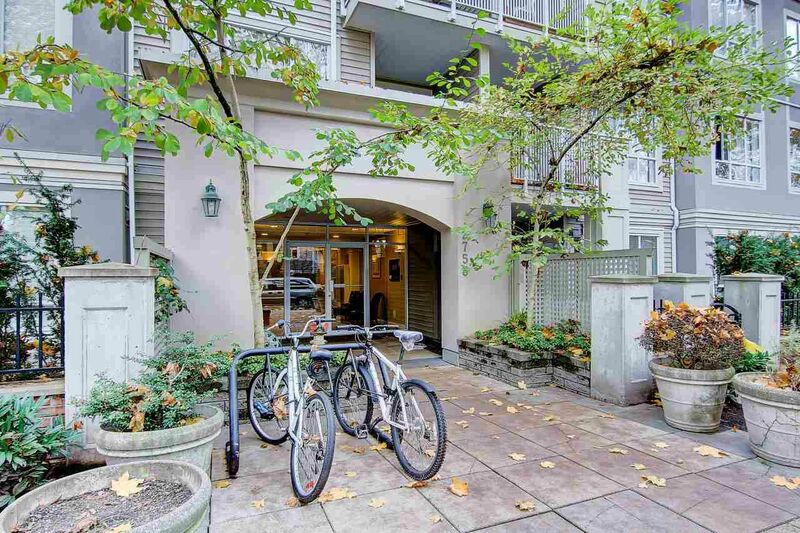 Just Bike to the beach? 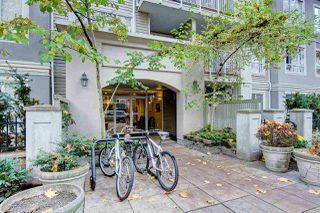 Well it is a biker's paradise, so it comes with a bike rack accessible at the front door + bike storage.